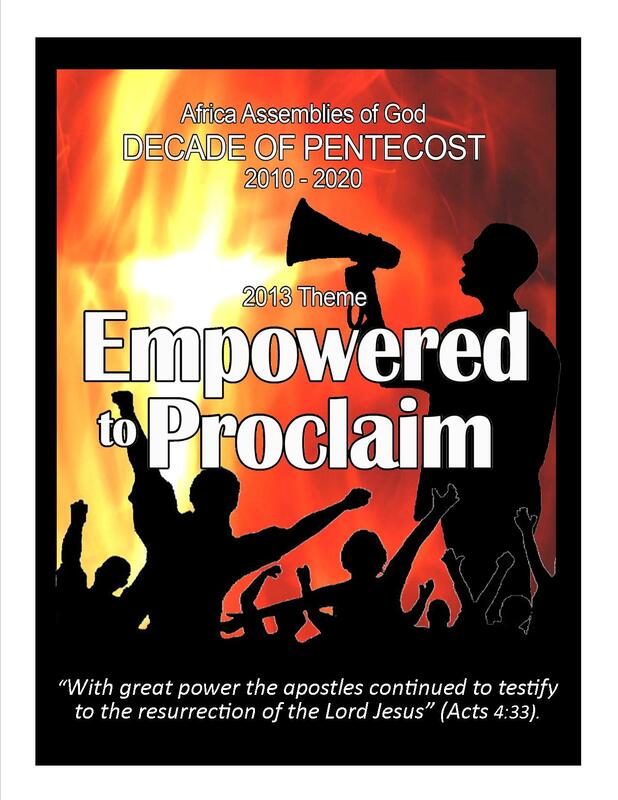 The Decade of Pentecost theme for 2013 is “Empowered to Proclaim.” The theme verse is Acts 5:33“With great power the apostles continued to testify to the resurrection of the Lord Jesus.” It is hoped that this theme will inspire even greater evangelism, church-planting and missions outreach in our Africa Assemblies of God than ever before. 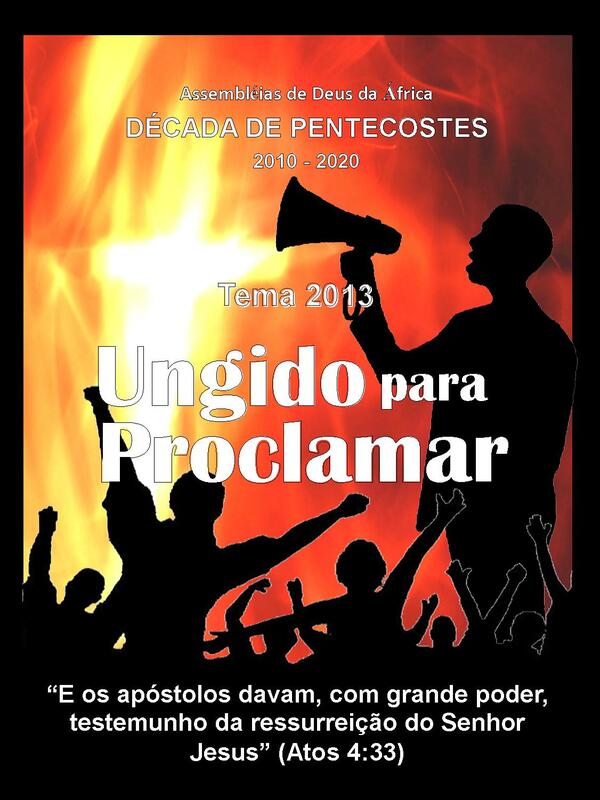 As in the past, on “Day of Pentecost 2013” (19 May 2013), the Africa Assemblies of God is encouraging the pastors of each of its more than 70,000 AAGA-affiliated churches to celebrate Pentecost by preaching a message on the baptism in the Holy Spirit and the Great Commission. They are then to pray with their people to be filled with the Spirit and empowered as Christ’s witnesses according to Acts 1:8 and 2:4. 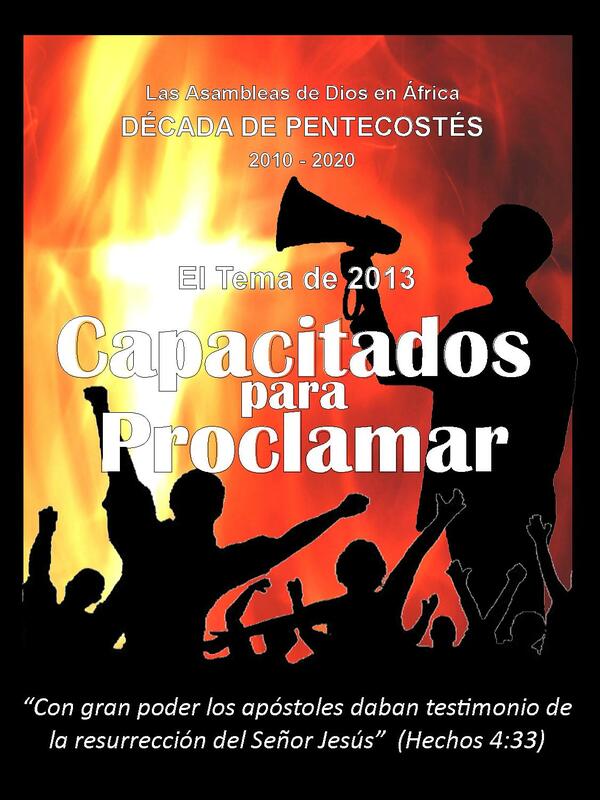 Many of our churches will be celebrating “Pentecost Week 2013” (13-19 May) with a week-long Pentecostal and mission emphasis. Think of what will happen if every church in Africa were to participate! If each church saw only 10 new believers filled with the Spirit and mobilized as Christ’s witnesses, the AG Africa would immediately see 700,000 new Spirit-empowered witnesses added to its ranks. As these newly-Spirit-empowered disciples are mobilized and pointed to the harvest, millions of new believers could be brought into the kingdom of God. Sermon outlines can be found by clicking this link. 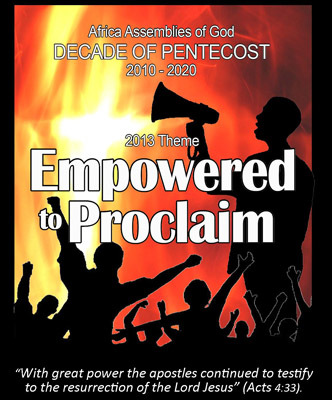 More sermons can be found by downloading the book Proclaiming Pentecost: 100 Sermon Outlines on the Power of the Holy Spirit at this link. 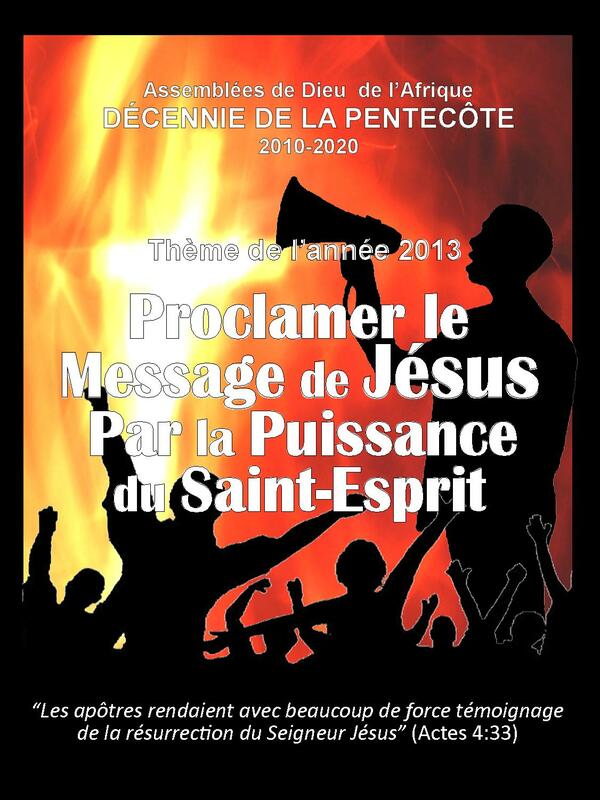 This resource is available in English, French, Portuguese, Spanish, and Swahili.